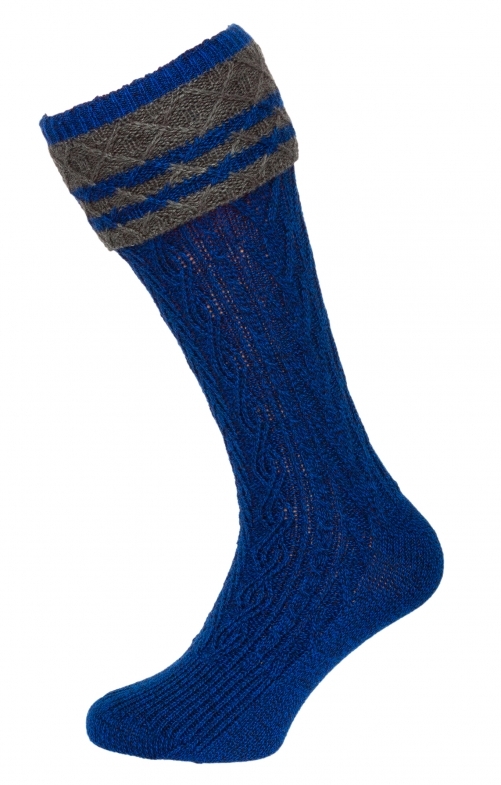 Men's traditional German knee socks in blue. These stylish cable knit knee socks by Stockerpoint are crafted in a wool, viscose and synthetic blend for softness and durability; they will add an authentic finishing touch to any Trachten outfit. The deep blue socks look good whether with denim shorts or traditional Lederhosen; wear to Oktoberfest or as everyday walking socks. Einfach gut. So, wie ich es mir vorgestellt habe.